Americans are spending less time in the kitchen, according to US Bureau of Labor Statistics annual report, released in June 2018 that details how people spend their time day to day. The average time spent preparing meals is now less than 37 minutes per day (including cleanup), which means there is less time than ever before to prepare delicious, healthy meals. Anna Cane, an Italian native and Bertolli olive oil master blender has over 30 years’ experience in the Science and Technology of Olive oil and she recently published her key tips for time pressed Americans who want to prepare nutritious meals but also have more time to enjoy instead of being stuck in the kitchen. The reality is, healthy eating can be much simpler if we cook for ourselves, this way we know exactly what is going into each dish. Which means we can select the best quality ingredients for maximum effect. It doesn’t need to be complicated or overwhelming and her time-tested tips help to easily prepare a simple, tasty and healthy meal for you and your loved ones. Simple and healthy cooking can be as easy as it sounds and it all starts with organizing the kitchen and supplies. First, scan through the ingredients and equipment to determine which ones are needed. Have only the necessary utensils at hand, along with the right ingredients – including items that will help liven up a dish, such as a high-quality olive oil. With an organized working space in the kitchen, there’s no chance of being distracted or overwhelmed by clutter and it is easy to find the motivation to get cooking. It is also helpful to keep favorite recipes in one place and always easily at hand. It saves time instead of searching through cookbooks or online sources. Think of healthy cooking like a pyramid. First, maintain a stock of basic high-quality ingredients ensures a great dish, anytime – keep good pantry staples such as dry pasta, rice, garlic, aromatic herbs are recommended because they are tasty and low in sodium. The middle part of the pyramid is adding vegetables and a low-fat protein like fish. 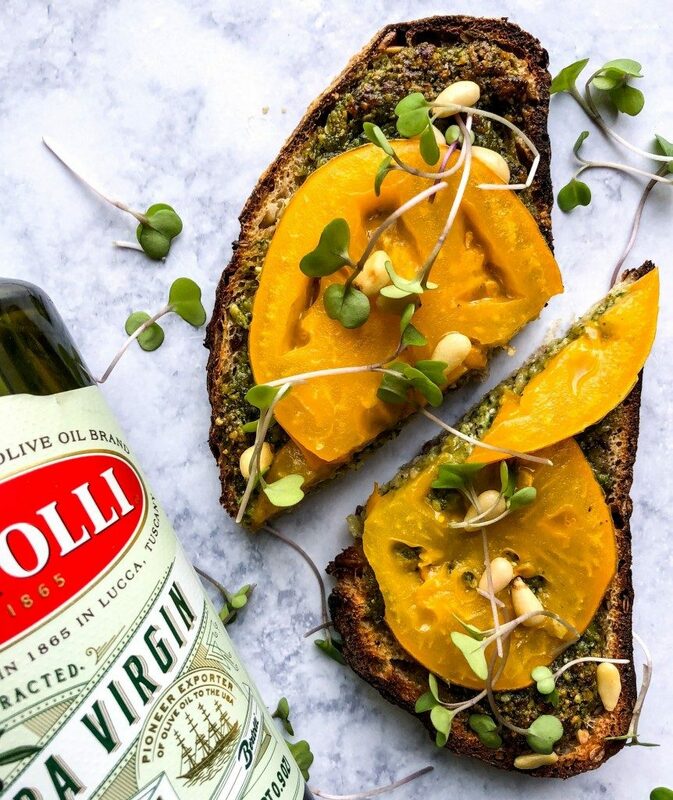 Finally, the top of the pyramid is a good quality olive oil such as Bertolli Extra Virgin to cook and finish the dish – giving the additional health benefits of plentiful antioxidants, protecting against heart disease, vitamin E and the ability to lower cholesterol. The secret to selecting healthy ingredients is making sure whatever it is, choosing the version with as many vitamins and health benefits as possible. A tasty, rich olive oil is the perfect example of a basic, high-quality ingredient that can always be ready to use, yet packs way above its weight in health benefits. Bertolli´s Extra Virgin olive oil, for instance, is a true all-rounder. With its fruity and fragrant flavors, it’s the perfect complement to any dish, giving the food that little extra pizzazz. Just imagine a plate full of spaghetti, in a sauce full of delicious flavors made with fresh tomatoes and basil. Add a high-quality olive oil and it becomes a mouthwatering comfort food – and it hasn’t taken much time to prepare and can give dishes an extra health kick! Bertolli Extra Virgin Organic olive oil is highly recommended gives every meal a real spark. Getting in the kitchen and starting a healthy nutrition makeover doesn’t have to be a headache! It is easy to achieve great taste using just a few favorite, healthy ingredients and following our three-step guide. Remember, healthy, easy cooking is just one step into the kitchen away!